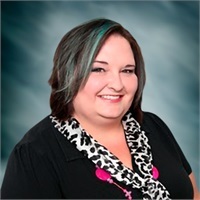 Crystal has 15 years of experience in customer service and building relationships through interpersonal communication. In 2010, Crystal began her career at BCG as a marketing specialist and has strong analytical skills as well as strong attention to detail. She is responsible for communications with actuaries, consultants, brokers and attorneys regarding qualified and non-qualified pension plans by building a strong rapport and building her knowledge of defined benefit plans. She is a great asset to BCG and has helped to grow the firm. Crystal is very involved in Breast Cancer Awareness and is a team captain for Paddle for a Cure. Crystal also heads up an event to feed the less fortunate during the Holiday Season.